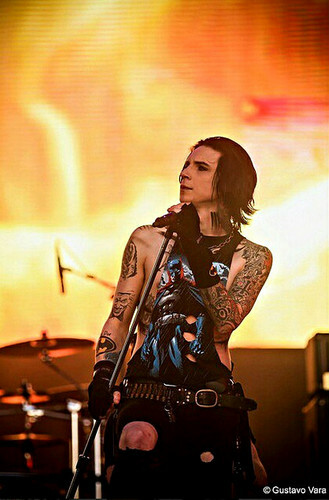 Monsters Of Rock ~Sao Paulo, Brazil Foto by© Gustavo Vara. . HD Wallpaper and background images in the Andy Sixx club tagged: andy biersack monsters of rock ~sao paulo brazil photo by© gustavo vara. This Andy Sixx photo contains konzert. There might also be gitarrist.